In 1963, landscape designer Lawrence Halprin devised a master plan for a community that would live in harmony with the natural environment. 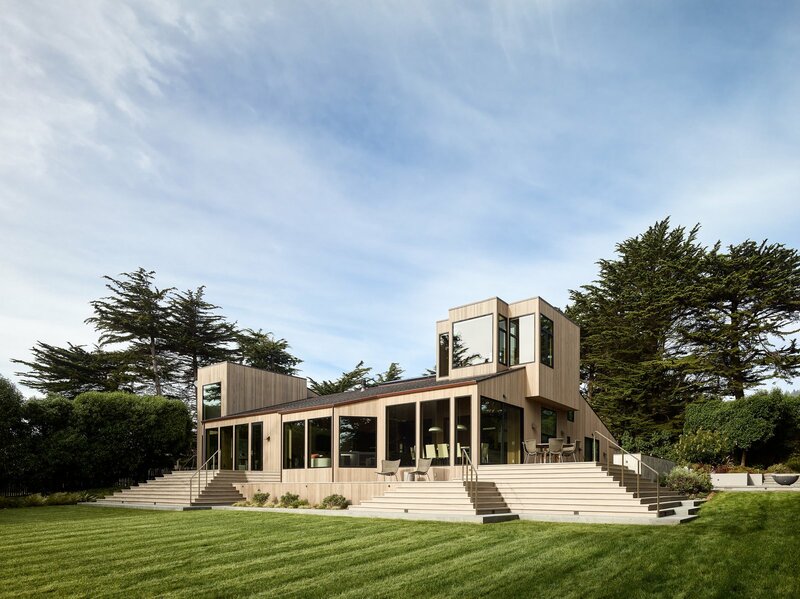 The resulting Sea Ranch, which stretches 10 miles along the Pacific coastline in Sonoma County, California, is characterized by timber-frame, wood-clad structures that are in dialogue with the local climate and terrain. Sited on a bluff within this pioneering community is the vacation home of a lawyer couple. After purchasing the residence in 2007, they lived in the home as it was for four years, even keeping the previous owners’ furniture. Envisioning a retreat that would accommodate their extended family and guests, they then recruited Butler Armsden Architects and Leverone Design to help guide the project.